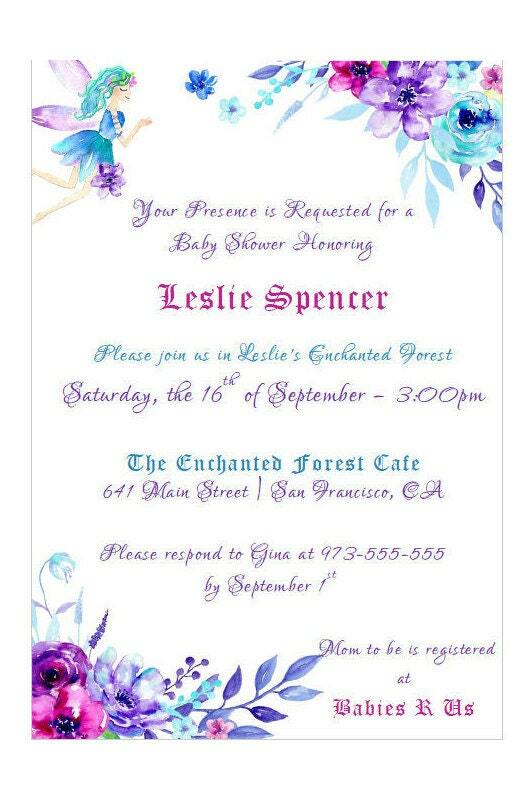 If you are throwing an Enchanted Baby Shower, this invitation is perfect start to your event! The wording on this invitation can also be customized to bridal showers, weddings and birthday parties! This listing is for single layer invitations to be mailed directly to you. If you wish to self print your invitations, please see the digital copy of this invitation below. When purchasing this listing through Etsy, please select your numeric set, then include the following information in the "notes to seller". You may also give us the wording as you would like it! Our current turnaround time is 4 weeks. 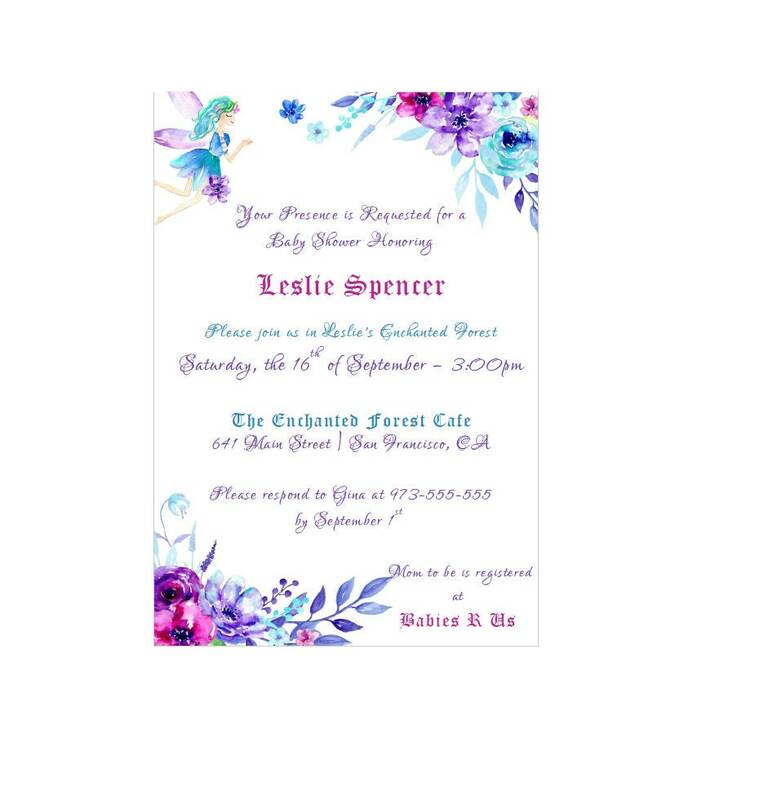 Once I have received all your information, I will customize your invitation and will email the finished JPEG to the approve. If you are satisfied with the design, we are ready to print. Otherwise, you can receive one addition revisions at no additional charge. A $15 fee applies to any further revisions, or if you would like a size change AFTER I have emailed you the finished PDF. Once a proof is approved, we will begin the printing process and mail the invitations out to you.